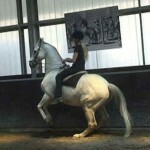 What is academic art of riding? Horseback riding according to the academic art of riding is something that, because of the name, seems only for elite dressage riders. But nothing is further from the truth, since all horses and ponies, untrained, experienced or even with a problematic background, can be schooled following the method of the academic art of riding. 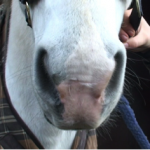 So the academic art of riding isn’t just for those who aspire to dressage – it’s for anyone who wants to know the whys of the hows and to keep their horse strong and healthy into old age! 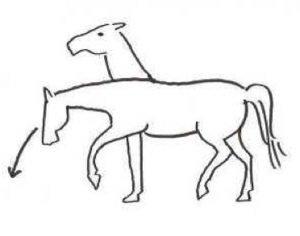 Is lowering the horse’s neck enough? 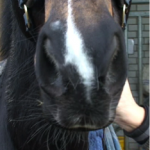 The forward-down tendency and lowering the horses neck is an important part of riding horses, but it is only part. 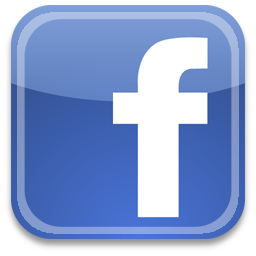 When a rider rides a horse only in forward-down – without engaging the hind legs in a proper way – the following symptoms can occur:. The horse leans on the rein and uses the hand of the rider for support, like a fifth leg. The horse shows little shoulder-freedom. The horse will develop only pushing ability and not any carrying ability , so he will never learn to carry the rider in balance. 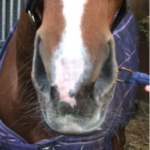 Due to the weight of the rider that is added to the front legs, strain injuries can occur. 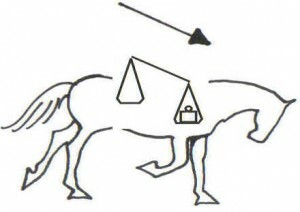 Only running a horse onto the forehand with no parameters except the lowering of the neck can damage the horse. We tend to think that faces of people and snouts of horses are symmetrical, but the pictures below show that they are not. In fact, they are sometimes very asymmetrical. 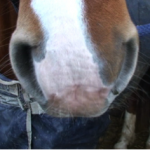 The right and left sides of horse’s snouts and nostrils can differ in size and shape.